“Every eligible voter’s vote must have the same value and the same legitimate chance of success.” Germany’s constitutional court decided on Wednesday (26 February 2014) that the 3% hurdle for political parties in Germany for the European Parliament (EP) is unconstitutional. The ruling will come into effect immediately and apply to the EP elections in May 2014. Germany has by far the biggest population in the European Union with some 82 million people out of the total of 503 million EU citizens and its citizens can vote for 96 out of 751 members of European Parliament. Already back in November 2011 the 5% hurdle was declared unconstitutional and the German parliament tried to adapt the regulation with a compromise in June 2012 that a 3% threshold would be sufficient. 19 smaller political parties in Germany as well as more than 1,000 individuals consequently started another court case – and successfully so. The head of the constitutional court said that all votes should have the same chance to be represented. The election threshold would violate the right of smaller political parties rights to equal opportunities. At the same time, for the German parliament a 5% hurdle continues to exist which obviously seems to be a contradiction. The ruling, however, has no bearing on national German elections where a 5% threshold applies, said German Justice Minister Heiko Maas. He said the court had argued that since the EP did not form a government, giving each party a fair chance was even more important. However, this argument is flawed because de facto the EP will elect the new Commission President after the May elections. Nonetheless, the decision of the Karlsruhe-based court has been a good one, it was a decision in favor of democracy. In the first place, the verdict cannot come as a surprise because the 2012 regulation by the German parliament disregarded the arguments of the constitutional judges from 2011. Thus, the very same points against the 5% hurdle could be brought in against the 3% one. Yet, the established parties seemed to have ignored the arguments of the judges. Thus, it is a “slap in the face for the mainstream parties”, as Deutsche Welle rightly argued. According to the appellants, in the 2009 EP elections eight out of 99 German mandates at the time would have gone to parties that did not make the 5% threshold that existed. Overall, 2.8 million votes were disregarded. For sure, even without a clause it will be very hard for many small parties to make it into the EP because a big number of votes is still necessary as in the case of Germany there exists a de facto 1% threshold in the first place to get a mandate. Moreover, a high participation in the EP elections will make it less likely that small parties make it. The “big” German parties argue that a clause is necessary to avoid political fragmentation in parliament of the kind that helped bring down the Weimar Republic when a wide range of parties failed to prevent Adolf Hitler coming to power. Such a historic analogy is not helpful though because in stark contrast to the inter-war period the German democracy has in the meantime a strong fundament where it rests upon. Now, Germany’s established parties worry about their influence in the EP. Such a view is to me a rather nationalistic way of thinking and not particularly pro-democratic. German papers argued that there would be not enough respect towards the EP. I think they are wrong because it is not weakening the institution. Already now 13 of the 28 member states do not have any election threshold. Moreover, when German papers argue that the EP is “split” in 162 political parties it is simply not reflecting reality. Although there are some small parties that have formally not allies, the huge majority of parties are organized in political families like the Conservatives (EPP), the Social Democrats (S&D), the Liberals (ALDE) and the Greens. It does not make sense the European Parliament would not be able to control the other EU institutions, namely the Council and the Commission, when there is no threshold at elections. The EP is doing a great job very well despite the fact that there are so many parties represented. By its nature, the EP has a lot of diversity as the EU itself is very diverse. The EP is therefore a reflection of reality. Sure, the EP is thereby less efficient, but at the same time there is more democracy possible – through better representation of the will of the people. And that is something that the European integration project certainly needs! 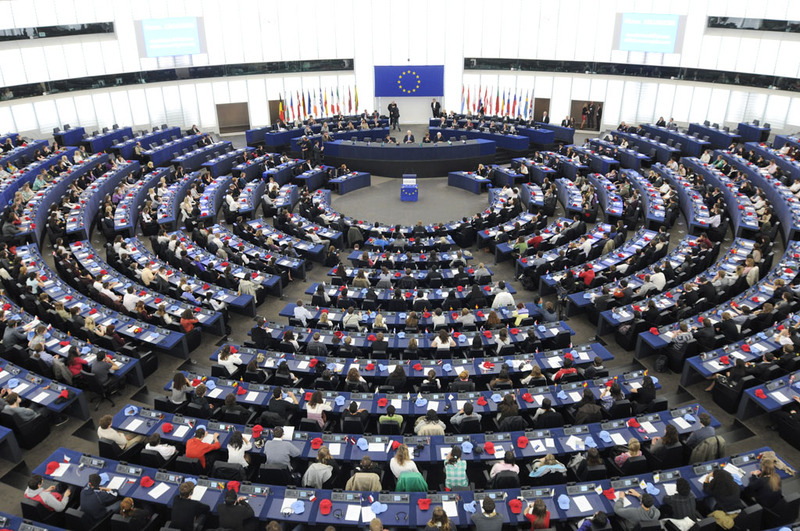 When anti-European parties are part of the European Parliament, it might seem a contradiction at first; but it is something that the European integration project should be prepared to tackle. When in November 2012 the EP decided in favor of a resolution that EU member states should have election thresholds that would allow safe majorities in the parliament. An obvious downside in the first place is that Germany’s far-right National Democratic Party (NPD) could win a seat in May. However, this reflects very different problems where the root problems should be addressed. This could be banning the party in the first place, when it is indeed following a neo-nazi agenda, or it is a strong reminder that Germany still has to work on its past despite or probably because of a certain fatigue to deal with the Nazi time. According to the latest Politbarometer published last week fringe parties summed up together make up 6% of voters’ intentions that would translate to a maximum of six MEPs out of the overall 96. The decision of the Constitutional Court is, hopefully, a reminder to the established parties what democracy is all about and that that the cooperation in the EP in political groups and alliances is ever more important. Furthermore, pro-European parties simply need to better communicate better why more Europe is good for its people. Thus, this decision should allow for more debate, thus also more engagement from the established parties that often have not taken the EP elections all that seriously in the past. Thus, the decision of Germany’s Constitutional Court has brought a little bit more democracy in the process of electing representatives of the people in Brussels respectively in Strasbourg. May it bring more participation and more debates about the future of Europe and thus more informed decisions what kind of party should be represented in the EP.